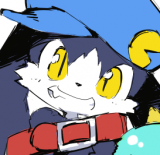 Klonoa 2 is difficult to make run on pcsx2 so I'll try to explain how I run it. This guide will be long and with many pictures. First get a working pcsx2 build. 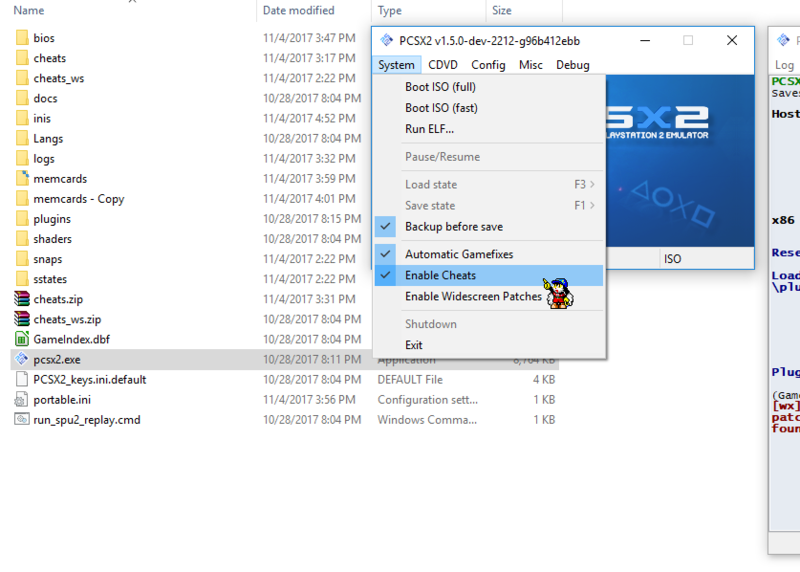 Use pcsx2 default settings during install. 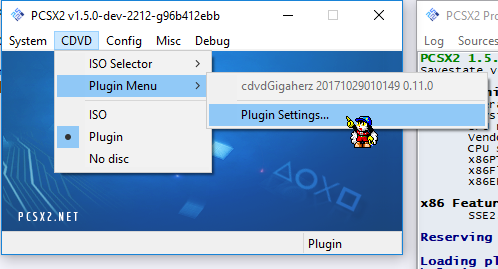 If using a DVD directly then switch to plugin. Select the appropriate drive letter. Thank you for your patience in reading this guide. I have a feeling I will need this when I get a new computer. I hope not, but thank you so much! Loves to purr and meow. 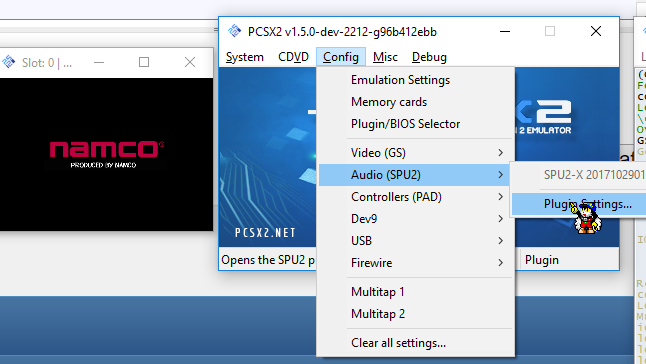 So, PCSX2 v1.5.0-dev-1706 is not working with it? I was running it when you last pointed out to use dev builds... quite a while ago. I do have the patches. Should I switch to the newest version? Yeah. 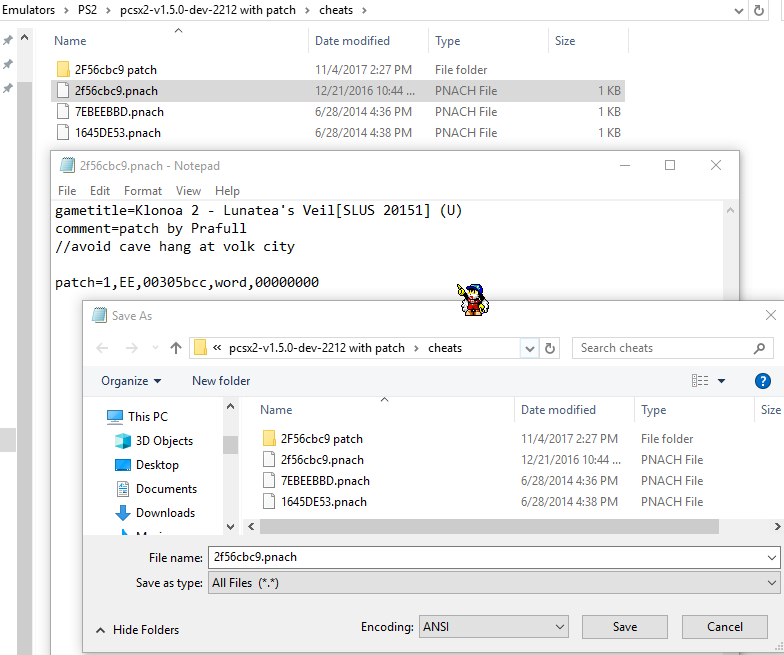 There is a small chance it may work but if I remember correctly it won't load the IPU patch that keeps Volk city from crashing. You may not even get past Joilant fun house door. A lot of the crashes are caused by the fire effects in game which are ran off of the PS2's IPU partly. 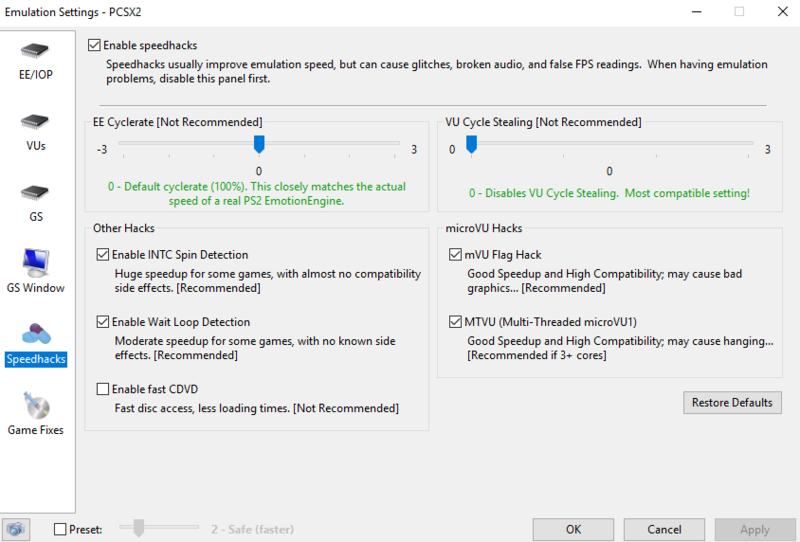 I don't know a whole lot about how or why but I do know that the patches started working again as soon as they changed vsync behavior probably on the emulated graphics synthesizer in one of the more recent builds. On a real ps2 Klonoa 2 will reset the video display mode "I'm guessing to clear VRAM and make room for the next set of textures for the next vision/level chunk during certain stage changes. It crashes during these when loading those flames which interacts with the emulated ps2's IPU some way. That is about all I know about it right now from a lot of observation. 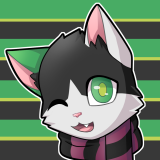 I know it's an old thread, but I've never forgotten about it in anticipation of setting up Klonoa 2 on a new, better computer. Now that I could afford a new one I want to show my appreciation - I followed those steps and it works really well! Some character models during specific visions have weird flickering colours, though. If there are any tips on how to correct that I would be even more thankful. Thank you very much, Voka. Reducing the emotion engine cyclerate/ clock speed can stop some of the flickering textures like in the Joilant opening but it is not able to remove them all I think. 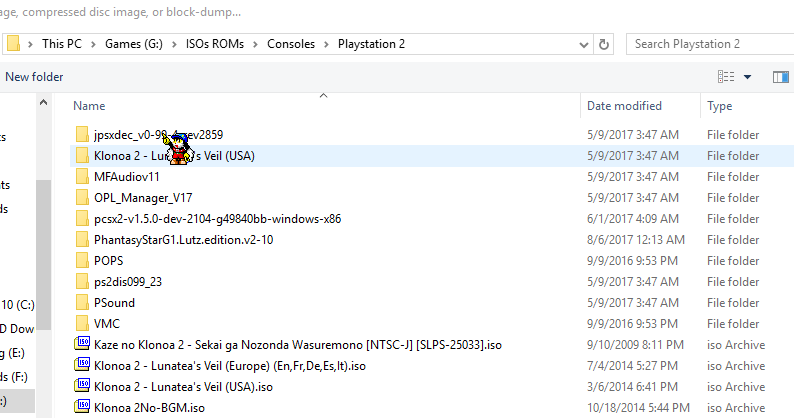 Also this build of pcsx2 recently worked with Klonoa 2's IPU patch "pcsx2-v1.5.0-dev-2887-gfa4ae7800"
Aah, I see, sorry for the late reply. I used 1.5.0-dev-2212, the one linked in the thread. I don't know how to change emotion engine cyclerate/ clock speed, I should look it up next time I decide to play, which might be in quite a while. What's that patch, by the way? Was it included in the tutorial? Also do you suppose there's an ultimate, perfect way to run the game? Such as smooth anti-aliasing like in those HD screenshots you shared some time ago. And I get zero audio issues, it's all nice and crisp, though it's annoying to change the audio async before and a after Namco's logo, lol. The patch is now part of the emulator. They have since added it in with the default patches. EE speed you can change here. Also turning on MTVU "Multi Threaded Micro VU-1 Should also help speed up the emulator some. My own Audio is still hit or miss. As for an ultimate perfect way to run the game.... I wish reallllly hard I had one . I've been trying at it on and off for a couple years. 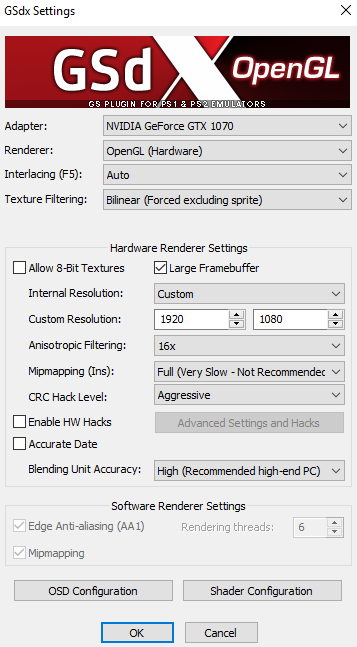 To get those crazy smooth screenshots I have to set the gpu plugin to really high resolution settings and then push my gpu to death while trying to keep it from overheating. If I had an ideal machine for this. even if I had to just rent it for a while. 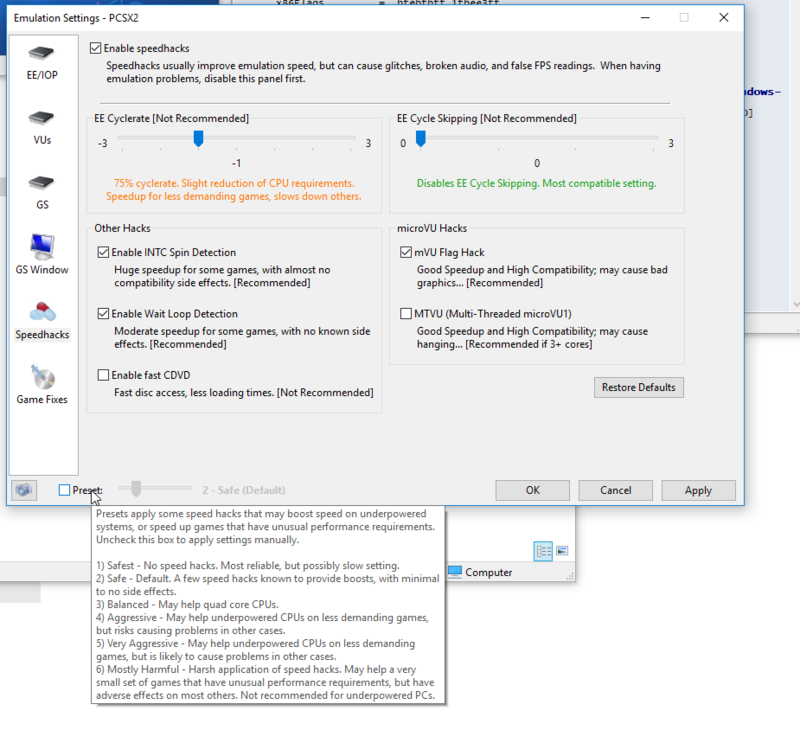 A fully overclocked Intel I9 9600K or higher because pcsx2 only uses like 3 threads Or wait on AMD Ryzen 2 cpus. And a 2080Ti which costs as much as a freaking car. If money were not an object or I .. knew some.. people. a Titan RTX would be absolute best in theory. Both of these have a video encoder that can record 8k30 in at least h265 HVEC and I want to make 8K Klonoa videos. My old Phenom II x720 was able to run Klonoa 2 just fine so cpu for me and this game is secondary. Hehe, looks like it'll take some more years until those crazy good GPUs become affordable. That's interesting, learning this stuff is fun. 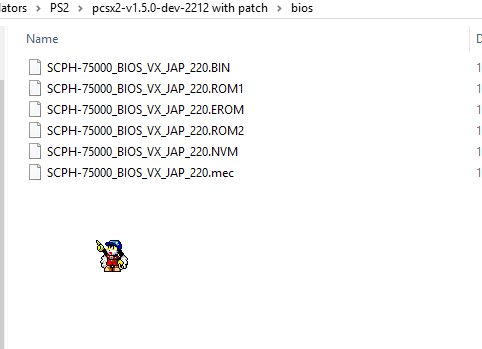 Now, which pcsx2 version has the patch, "pcsx2-v1.5.0-dev-2887-gfa4ae7800" ? Sorry, I didn't get that. As for my specs, I have 16GB RAM, my CPU is an i5 9600k, and GTX 1070 for GPU. 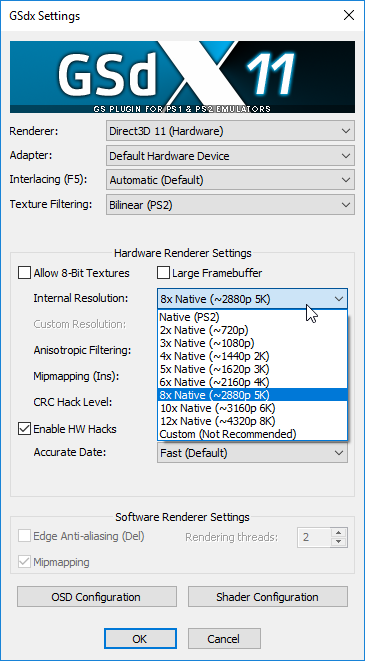 My monitor's res is 1080p, would upping the game's resolution help image quality? At 1920x1080 it ran smoothly at constant 60 FPS, but I had to change it to 50 in Volk and Dark Sea of Tears because it freezes when I enter areas with fire effects (I guess), running the EU version of the game and BIOS. Does the game version and BIOS even matter? If it helps to troubleshoot the flickering issues I was having, it was mostly in Momett's Chamber o' Fun and Joilant, which is funny cause my crappy laptop ran it fine on v1.0.0, and the sewer water in Volk. And some fire effects are missing for some reason. 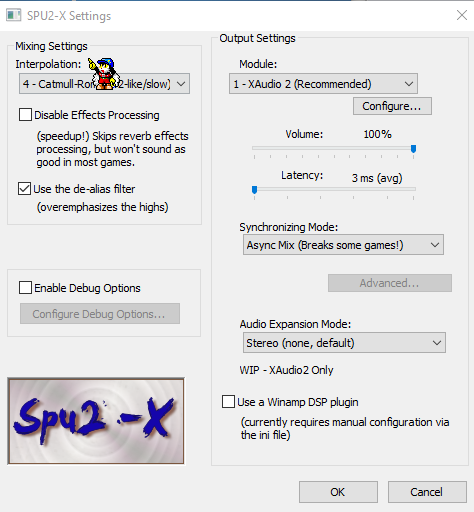 If I've not bothered enough, do you think the settings you recommended will work for my specs or should I tweak them in the pcsx2 version you were talking about? Thanks again, Voka. I sincerely appreciate the help!